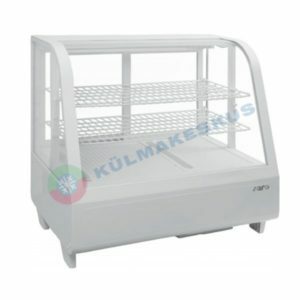 Külmvitriin Katrin, valget värvi plastik korpus, 2 riiulit plastikuga kaetud, LED valgustus, ventileeritud jahutus, automaatne sulatus, külmaagens R600a. 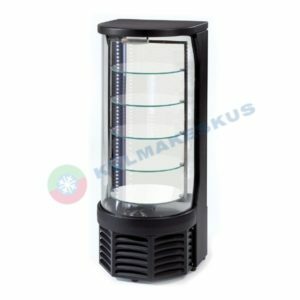 Väga hea hinna ja kvaliteediga lauapealne külmvitriin, taga lükanduksed, 2 riiulit, LED-valgustus, mustast plastikust korpus. Digitaalne juhtpult, väga kena disain. Ideaalne toode väiksematele kohvikutele, kus pole palju ruumi. 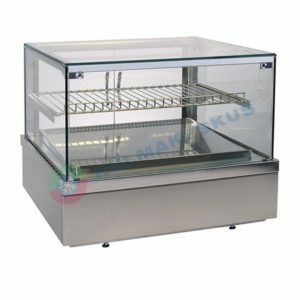 The counters are especially suitable for sale of baguettes, sandwiches, pastries. 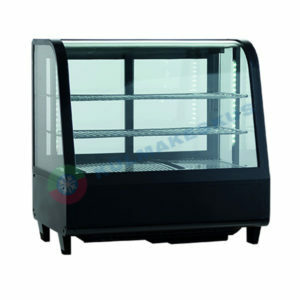 They are ideal for fuel stations, fast-food outlets, supermarket’s „fresh corners“. 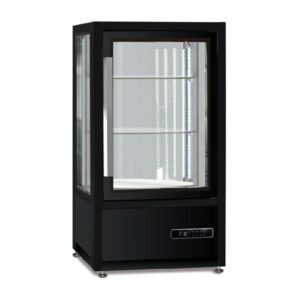 The display has only small request for footprint but provides a big sales capacity thanks to 3 sales levels (2 adjustable shelves). 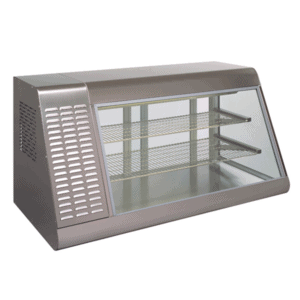 By ambient condition of +25 °C and 60% relative humidity. 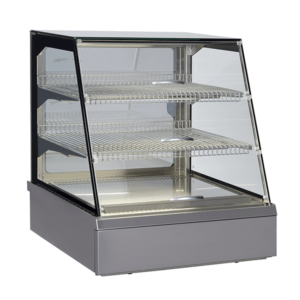 the new product range of serve over, top table counters brings attractive design and innovation to any fast-food outlets, restaurants, supermarket’s “fresh corners” and fuel stations. 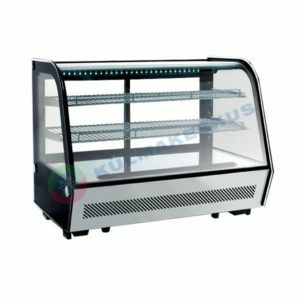 The showcase THAYA is offered both in COLD as well as HOT version, thus may present a very wide range of food from baguettes, sandwiches, desserts to grilled chicken, pizza and the like such as baguettes, sandwiches, drinks, pastries, etc. 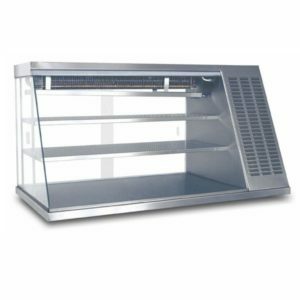 Cold Spot, a cold display case for all types of bars (restaurants, pubs, coffe bars etc.) 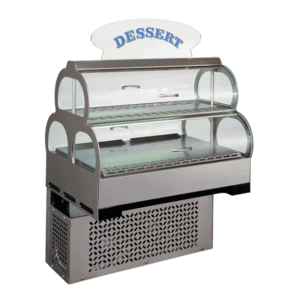 with a new modern design provides an unique advertising and display solution.